This is the French pocket paperback edition of Hunting Badger, Hillerman's fourteenth Navajo Mystery novel featuring Joe Leaphorn and Jim Chee of the Navajo Tribal Police. This edition was published by Rivages/Noir in Paris, France. This edition was published as a pocket edition, which means the size of the book is smaller than regular editions. The text was translated into French by Danièle and Pierre Bondil. 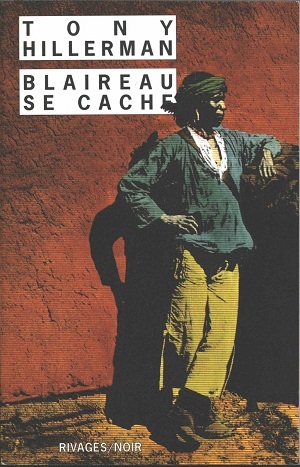 The cover is not credited but features a picture of a man standing in front of an adobe wall.